NEW YORK CITY — Emilie Evans had a hunch the guy next to her at the Putnum's Pub in Clinton Hill would understand her passion for building preservation simply by looking at his handwriting. From the stranger's stylish, consistent and clean penmanship in his notebook, Evans, 30, knew he was an architect, a field akin to preservationists', urban planners' and others specializing in the built environment. "It was just a really beautiful font that you want to input into your computer," she said. A conversation was sparked, and after an evening discussing the pub's well-worn and rustic interior, a month-long relationship ensued. While preservationists might hold the stereotype of aging residents clinging to old buildings, young people are also among those bent on conserving the city's past through its existing structures. Bound through a fervent belief in a common cause, the development of another form of passion seems inevitable. From universities and landmark advocates' networking nights to historic-themed pub crawls, there's no lack of places to meet and mingle with like-minded preservationists. "They come here and they find a classroom full of people that are just like them — who actually care about preservation, who actually care about old buildings," said Janet Foster, the associate director for Columbia's Graduate School of Architecture, Planning and Preservation (GSAPP). With about 75 percent of enrollees under 30 years old, the program is one of the epicenters for New York City's young preservationists, Foster explained. Many students come from architectural, urban planning and engineering backgrounds, she said. "The students are incredibly passionate about what they are doing," Foster noted. "You don't go into it for money. "They bond because they have found their people." For Evans, whose relationship with the architect collapsed after a few weeks, a lack of regard for her life’s crusade can be problematic when it comes to romance. "There was one guy who was a recent graduate in construction management and he was similarly passionate about how old buildings get in the way," she said. "And that went absolutely nowhere." If you find yourself on a date with author Thomas Rinaldi, there is a good chance he will take you somewhere old. "It is fun, and you can kind of gauge the reaction you get," said the 32-year-old, assuming he at least subconsciously measures a date’s reaction to places like the dive bar Lucy's in Alphabet City or the Peter McManus Café in Chelsea, both longstanding establishments. For a guy who is just about to release a book cataloging New York City's neon signage ("New York Neon" is due out in October), Rinaldi undoubtedly has a few impressive facts up his sleeve for romantic strolls. "Every once in a while I feel compelled to mention some architectural buildings to someone I am walking with on a date," he said, adding that he tries to stay modest with his deep historical knowledge. Historical walks around the city can also apparently have some swagger. "What attracted me to her was that we could hold hands, walk about the city and talk about old buildings," said Lew Gleason, an architectural conservator with Jan Hird Pokorny Associates, of his now-wife, Sandy Chung. During another standout date, Gleason, 38, brought Chung to photograph and survey a derelict MTA site in the Bronx. "This meant casually strolling onto monitored city land in broad daylight, slipping into the property through a gap in the fence," he said. "The experience really solidified our relationship." 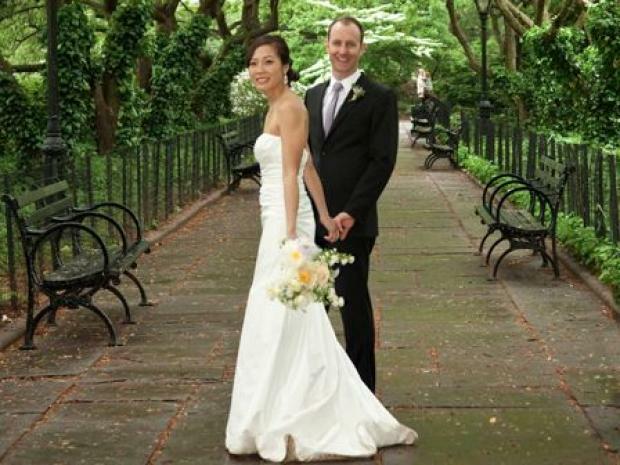 After proposing in a historically protected garden in the West Village and holding their wedding in Central Park (a national landmark), they have been married for three years. The two met eight years ago in Columbia’s GSAPP. Gleason said he knew about 10 to 12 other couples who met in the program and are now either in long-term relationships or married. "You will always have a million things to talk about," he said, like, "'Oh, did you hear about that building that was lost.'" 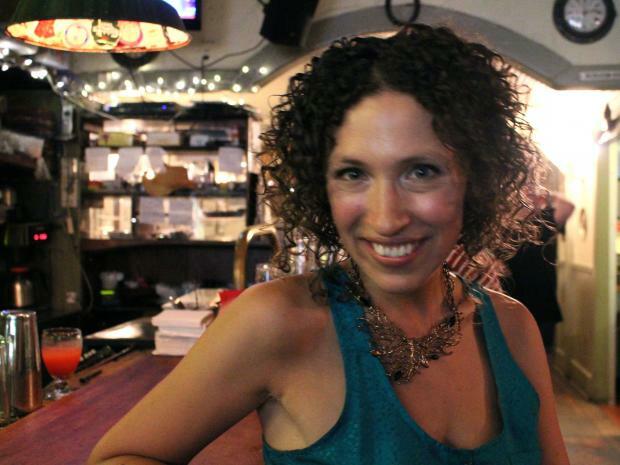 Besides Columbia, numerous other meetups exist for preservation enthusiasts, such as Landmark West’s young professional nights or the historic pub crawls run by the city's Municipal Arts Society. There is a constant calandar of lectures, volunteer workdays at historic sites and advocacy work on endangered buildings that creates this budding dating scene. "It is really exciting to be surrounded by these people that love what you do," said Matthew Coody, 26, a Columbia GSAPP graduate who now works as an administrator for the New York Preservation Achieve. When it comes to dating and friendships, Coody, who is also a moderator with the National Trust for Historic Preservation's LGBT Preservation ListServe, said respect for his preservation passion is key. "It is important for them to appreciate it," he said of potential dates. For Emilie Evans, the High Line is the ultimate preservation story. Stroll along the slim park while impressing your date with its historical information found on the Friends of the High Line website. This classic dive that's been around since the 1970s is full of neon signs and a suitable place to take a date on preservation-themed night out, according to Thomas Rinaldi. Built in 1817 as a house and later converted into a bar, you and your date can bond over the nautical history of New York. Reflect on the bad old days of the neighborhood at this local bar, which was once a hangout for notorious Irish gang the Westies. Brush up on your Hell's Kitchen gang knowledge by reading "The Westies" by T.J. English. Try this bar tucked inside Rinaldi's favorite historical building — Grand Central Terminal. Be transported to another era as you sip a cocktail inside the bar that was once the apartment of 1920s tycoon John W. Campbell.